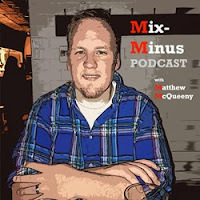 Matt talks coffee, Russell Westbrook, Citizenfour, Net Neutrality, the Samsung Galaxy S6/S6 Edge, and HTC One M9. He also goes into where smartphones could go next - a Phabrid? - and what cellular companies could do to better service customers who want the latest and greatest in technology.